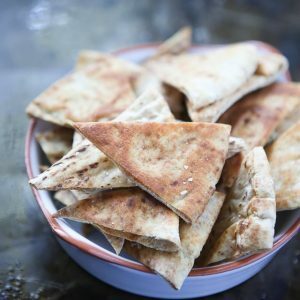 There is nothing better than a batch of homemade baked pita chips to serve with dips. My family loves when I make these homemade baked pita chips and so do I. So much easier to make than you might think! Silicone basting brushes are used to brush oil on.